Have you ever dreamed of being a Bond Girl? Now it’s your time! Lady Popular has a new event available for you: Bond Girl. Show us your edgy side and prepare yourself for great adventures. 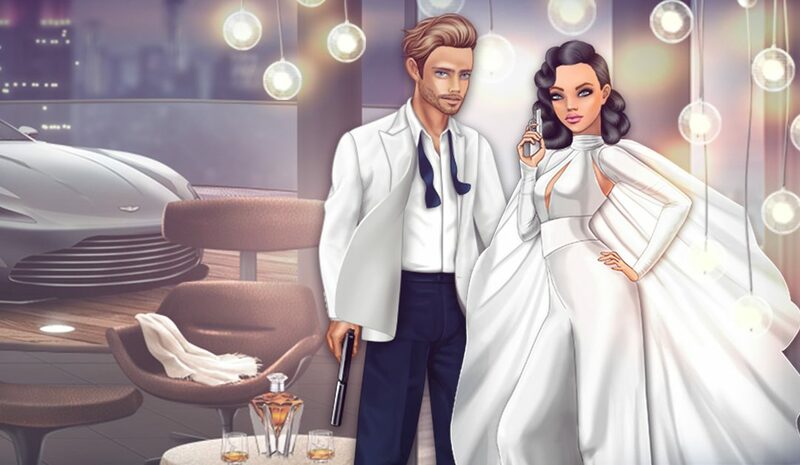 Collect magnifiers by winning duels with players or supermodels on the Fashion Arena or exchange diamonds! You can win super cool items: a car, furniture, clothes, beautiful profile background and 2 hairstyles. Collect the magnifiers from 14.01.19 until 28.01.19, 13:00 CET. Purchase gifts from 14.01.19 until 29.01.19, 13:00 CET. Open your gifts from 21.01.19 until 29.01.19, 13:00CET. If you can’t wait, you can always open some gifts earlier, but you have to spend some extra diamonds. For the period of the event, the level restriction for challenging opponents on the fashion arena will be +/- 10 levels. The supermodels are now even more generous. Every time you win a duel against a supermodel, you will get 3 to 5 magnifiers. We have limited items in the beauty salon so don’t forget to check them! Enjoy the Bond Girl event and share with us your thoughts about it.